Most people see the Tetons from the east side, at Grand Teton National Park. But, just as there are two sides to every story, there are two sides to these mountains. If you want a much different experience, you can check out the view on the west side of the Tetons. It’s a good place to catch a sunset if you can find just the right spot. And I sure did try. 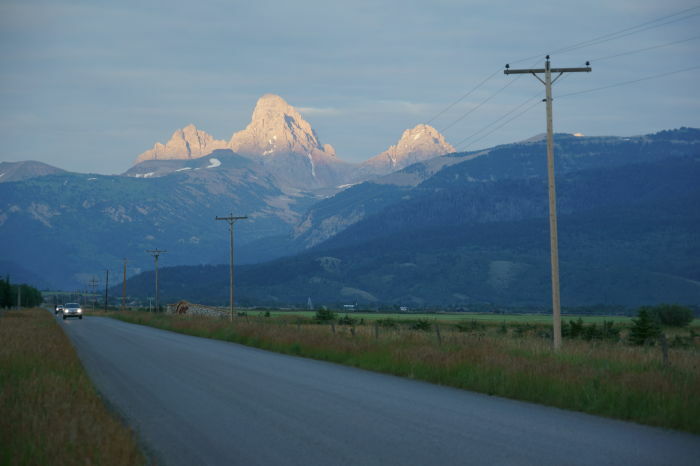 To explore the western side of the Tetons, take Idaho Route 32 south from Ashton. When it ends, continue south on Idaho 33 through Tetonia, toward Driggs. 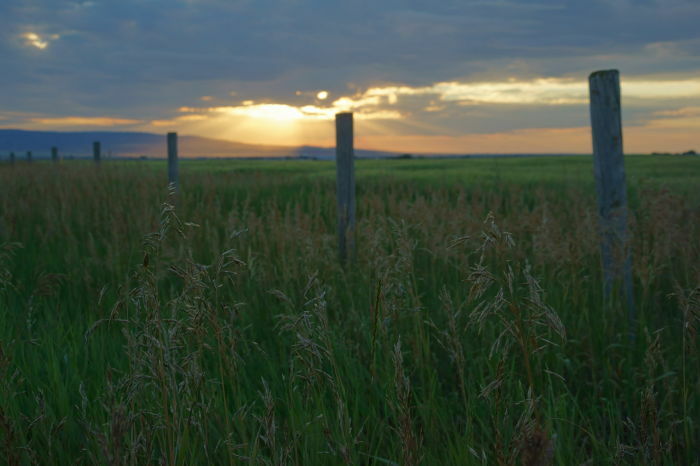 A side-road will take you further east towards the mountains, crossing over into Wyoming, in the community of Alta. A rainy day in Yellowstone had slowly progressed into a very beautiful evening, as I escaped the crowds in the park and made my way towards Salt Lake City, for the end of my vacation. After ten days of driving and hiking, it would have been very easy to check into a motel and forget about what was happening outside. But, I just couldn’t do that. 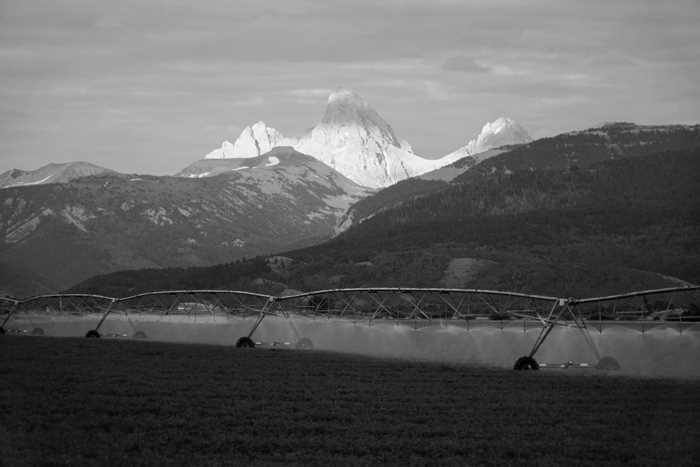 From Ashton, Idaho, the peaks of the Tetons were calling. I figured sunset was a little more than an hour away, and the mountains were a little less than that. So, I headed towards them. Along the way, there were a few interesting places to stop. 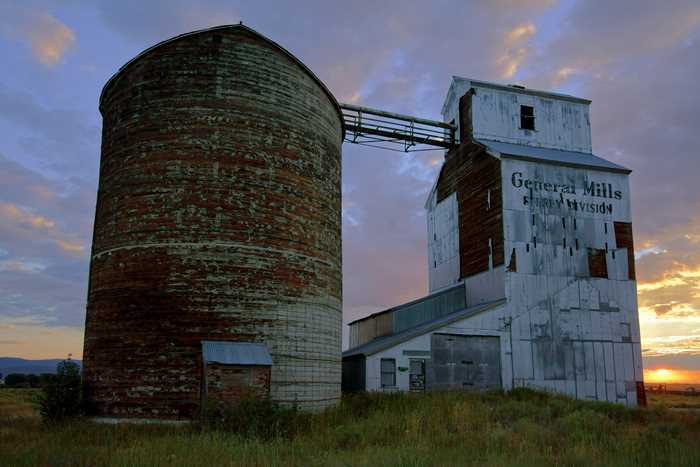 The community of Drummond, on Route 32, has a picture-perfect grain elevator, backed by miles of rolling farmland. 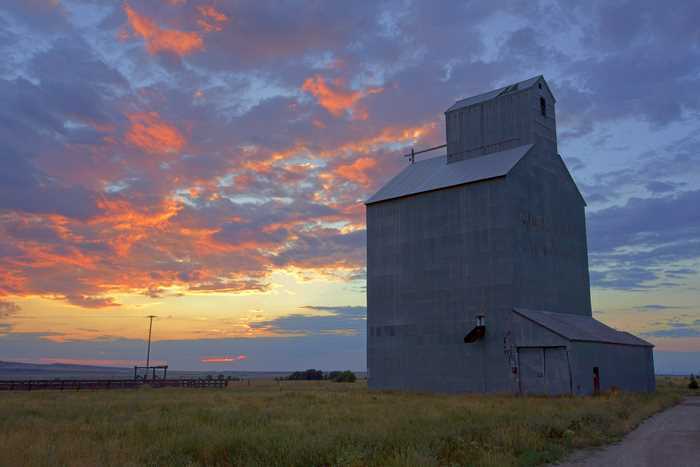 At France, Idaho, there’s nothing more than this stunning grain elevator at the edge of the road. In the late-day sun, it gleams. But, these were just distractions from my ultimate goal. I needed to hurry — and I wasn’t even sure where I was going. It’s trickier than you might expect to find a good spot to take a picture on the west side of the Tetons. 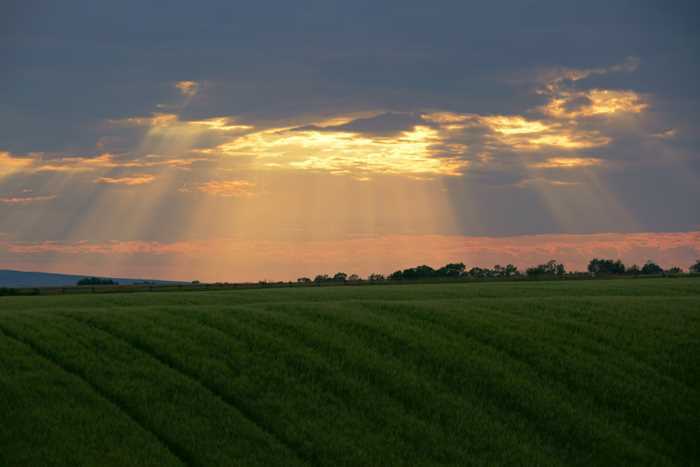 There’s a lot of farmland out here, which is great, but there are also a lot of expensive homes. It’s no surprise, considering that view. But, they do get in the way of photography. If you watch the Drivelapse video at the bottom of the page, you’ll see that I dove around a lot, trying to find the best place — where those hills in the foreground didn’t block the view of the Tetons, and there weren’t homes or power lines in the way. It was tricky, and I was racing against the rotation of the earth. This is about the best I could do. The peaks did light up, somewhat, but the sky remained grey behind them. It was nice, but it wasn’t exactly what I had hoped for. The sky was looking great, towards the west. I decided to stop worrying about the Tetons, and figure out a good place to shoot in that direction. I crossed over to the west side of Route 33 and found more farmland. Still, it needed something else. 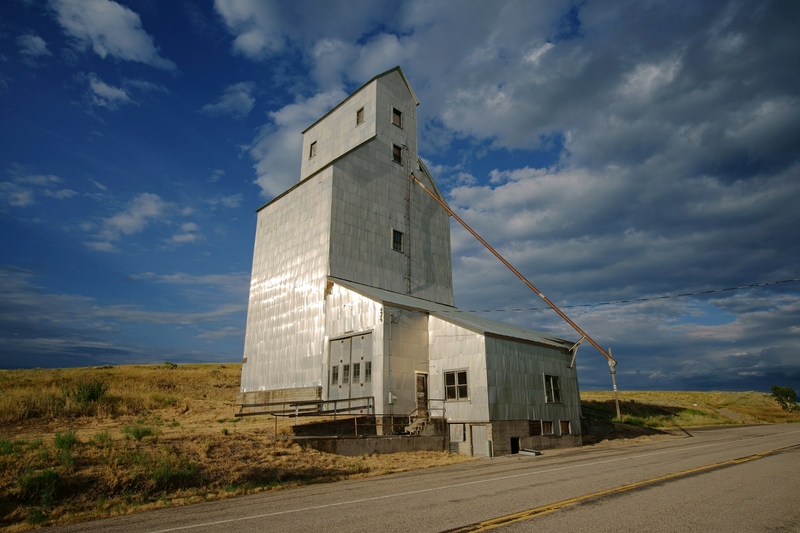 I headed north and found some interesting old silos and elevators in the town of Tetonia. It was a great way to end the final night of my vacation. From here, I headed west on Route 33 to Rexburg, then down to my motel in Blackfoot. 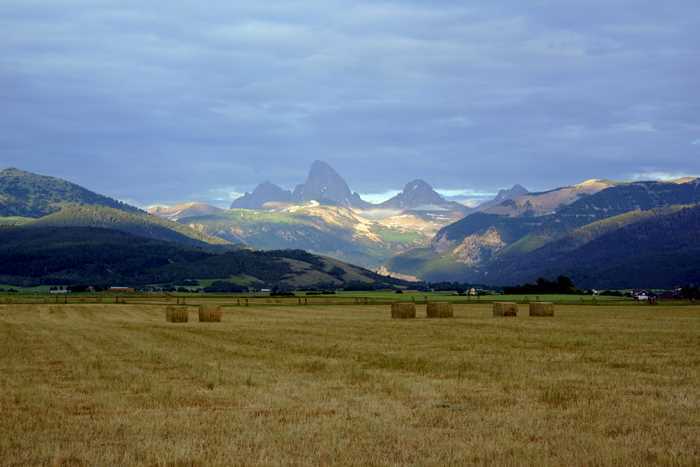 You’ll find some great views on the west side of the Tetons. 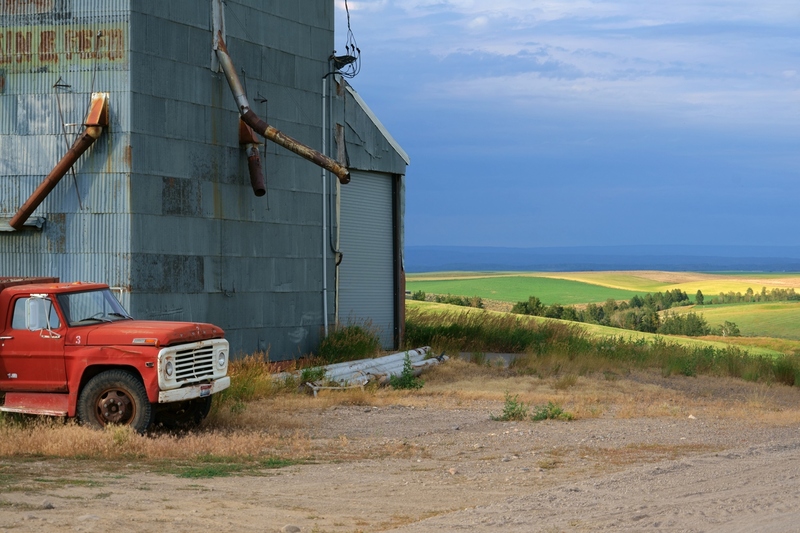 It’s not as easy to visit as the National Park on the east side — much of the land is private on the west side, and there are many houses scattered amongst the farmland. But, if Grand Teton National Park is too crowded, or you’re making the return trip to Jackson after a day in Yellowstone, this is a great place to explore.